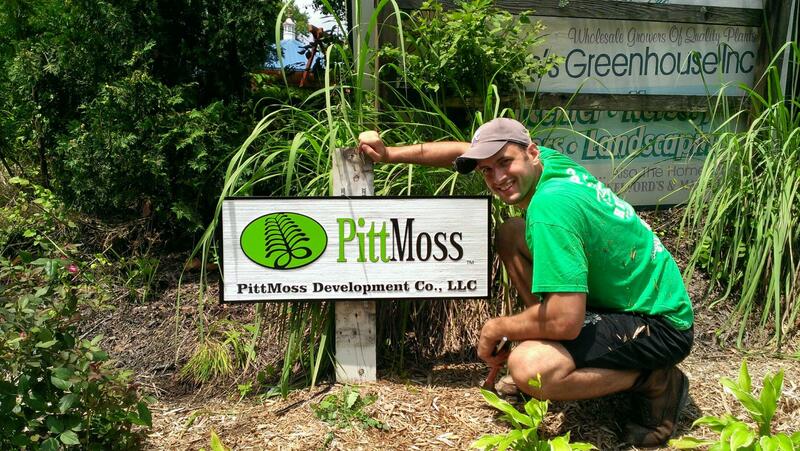 Multitudes of Angels in the Outfield | PittMoss® from the Ground Up! Mark Cuban recently participated in a panel discussion regarding the state of business innovation and investment. With my start-up in full swing, I’ve been spending a lot of time with business development types and prospective investors so hearing what he had to say was timely. Cuban stated that all one had to do to verify the weak prospects for investors in the current climate was to observe the record amounts of stock being bought back by public companies. VJ Angellotto admiring the new sign he just put up! In other words, so few innovative companies or ideas are out there in the current marketplace that corporations are investing their cash in themselves at near record prices instead of acquiring the next big, innovative technologies. Just as corporations are finding good investments hard to come-by so too are professional venture capital groups and sophisticated high net-worth individuals. Angel investors, family and friends all seem to be out searching for quality investments outside of the stock market. With so little fresh produce available to inspect, PittMoss™ got squeezed and sniffed by multiple suitors over the past few months. To be honest the attention feels pretty good after contemplating a business plan for going on two decades. I asked a former colleague of mine if he thought we were getting the attention because of the lack of competition or was PittMoss™ just that good of an idea? “There are more investors looking for good investments” he said”, than there are good investments looking for investors”. After sharing his nugget of wisdom he too offered to invest in my venture. In this apparent sellers market of ideas, I had the privilege of meeting with many great and wonderful people this spring and summer. Many seemed trustworthy but instinctively I knew that early investors and partners in my venture could make or break me. I’ve come to realize that good partnerships are probably one of, if not the most important decisions I have had to make so far. I’m therefore proud to say that my perfect angel investor in PittMoss™ Development Co. LLC is a team of them in the form of Vince, Gloria and VJ Angellotto, which literally means Multitudes of Angels. I’m reminded of that old black and white movie filmed in Pittsburgh where a team of angels shows up to help the Pirates win a pennant. PittMoss™ now has it’s own Angels in the Outfield and I think that is pretty cool. This entry was posted in Small Business Development and tagged business, climate, entrepreneur, environment, garden, Local, Nature, small business, start-up. Bookmark the permalink.